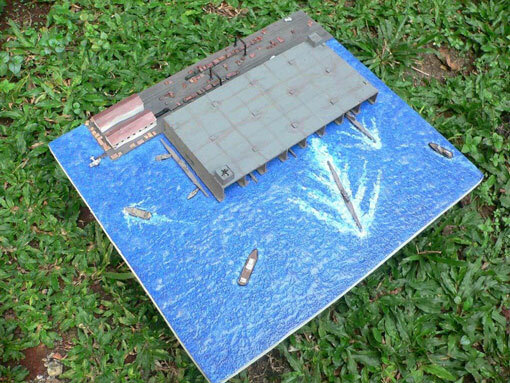 Another Rizky Ferriansyah design - [http://myhobbycraft.blogspot.com/] , now he we wants to capture the massive German submarine pen on world war II era. 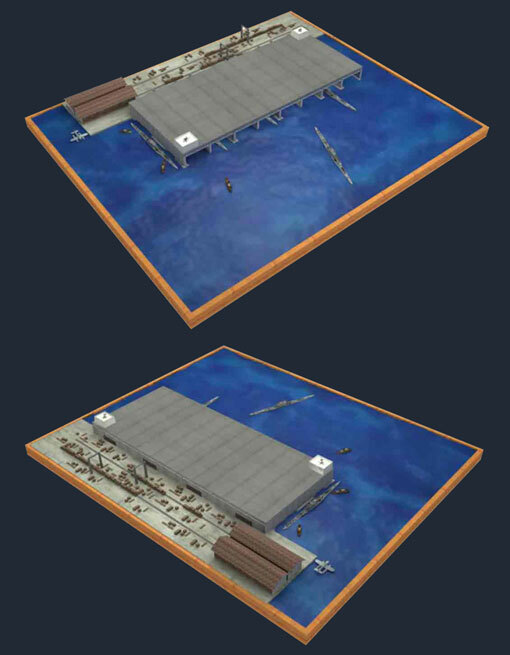 A submarine pen is a bunker to protect submarines or U-boats from bombing. German World War II U-boat pens in France included Saint-Nazaire, Lorient, La Rochelle and Toulon. In Norway, DORA 1 was a large pen in Trondheim, Norway. U-boat pens protecting construction of the German Type XXI submarine were located at Hamburg (Blohm & Voss), Bremen (AG Weser), and Danzig (F. Schichau). The Finkenwerder U-boat pens were constructed by 1,700 slave labourers over 4 years, and after being captured, were demolished with 32 tonnes of bombs.U-boat facilities became a bombing priority first in March 1941 and again during the Combined Bomber Offensive, and U-boat yards and pens were the primary objectives for the Eighth Air Force from late 1942 though early 1943. Operation Aphrodite guided aircraft, BATTY guided bombs, Disney rocket-boosted bombs,Tallboy bombs and Grand Slam bombs were subsequently used to attack the U-boat pens.